Hujaboy is Nir Shoshani from Jerusalem, Israel. 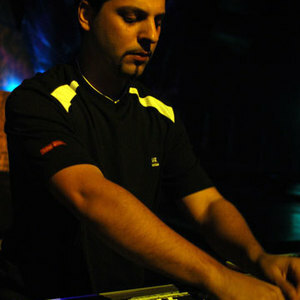 Nir began Dj'ing and producing trance since 1996 and has released Albums and tracks on compilations on almost all the respected labels in the trance world. To name a few; Spun rec Tip world, HOMmega productions, Phonokol BNE. In 1998 he formed Gorlation Corporation with Assaf Dor and released trax on various compilations all over the world. When the duo spllit up he started working as Hujaboy and joined Hommega productions. Nir began Dj'ing and producing trance since 1996 and has released Albums and tracks on compilations on almost all the respected labels in the trance world. To name a few; Spun rec Tip world, HOMmega productions, Phonokol BNE. In 1998 he formed Gorlation Corporation with Assaf Dor and released trax on various compilations all over the world. When the duo spllit up he started working as Hujaboy and joined Hommega productions. After releasing his debut album, 'Hujajoy' (HOMmega) in 2002, which focused on tech trance and progressive sounds, he decided to explore the intensive genre of full on psychedelic trance and released his second album "Sonic Tonic" . In 2005 he released "E-jekt -Dark fader" the debut of his side project with Uri Azene. These days Nir is Working on an album for Tip World. It is planned for early in 2006. Hujaboy is delivering some of the freshest sounds around right now and is a welcomed addition to the Tip roster. With his tough, tight and powerful grooves, Nir is providing a cool, hard edge to the catalogue. Direct and to the point, Hujaboy is definitely the one with all the new kicks up his sleeve.